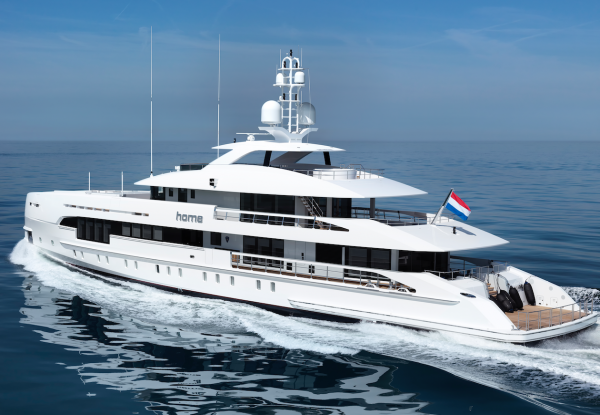 Dutch shipyard Heesen Yachts has announced the delivery of Home, formerly Project Nova following on from her launch which took place in the middle of April. At 50m, the new superyacht is Heesen’s first Fast Displacement Hull Form (FDHF) superyacht with hybrid propulsion, and has been delivered to her new owners in international waters. According to the shipyard, Home endured an extensive trial period over five days in the North Sea, in calm conditions with waves up to 0.5m with a light breeze. Here, the new superyacht exceeded her contractual speed of 16.3 knots in traditional diesel mode. Furthermore, Home was able to reach the predicted speed of nine knots with “noise and vibration levels below the specification levels,” as reported by Heesen. Having delivered one yacht already in 2017, Heesen is set to deliver three yachts this year with a combined LOA of 152m, which is just over seven per cent less than last year (data provided by The Superyacht Annual Report 2017: New Build). This year there have been eight yachts delivered in the Netherlands, meaning that Heesen’s activity accounts for 25 per cent of the activity thus far. Unlike the more traditional Heesen yachts, 50m Home has a far more modern profile, with an almost vertical bow and straight superstructure lines. There are, however, still elements of the yacht which emanate true Heesen characteristics, such as the forward sloping angle towards the bow. While the yacht is intrinsically different from existing Heesen vessels, this updated style that we have previously seen with M/Y Sibelle delivered in 2015, and is a good compliment to the Heesen portfolio. 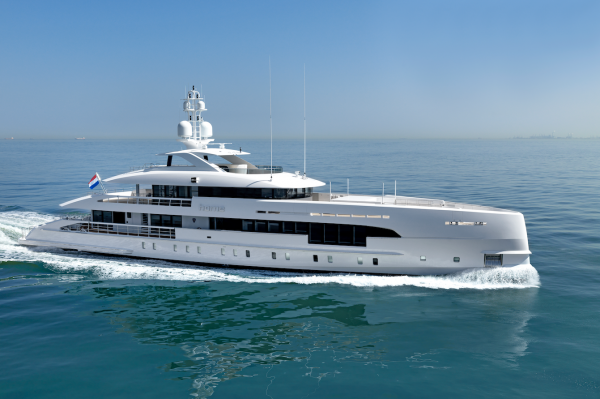 With eight yachts under construction, one of which (Project Maia) has been launched, Heesen has the third largest orderbook in The Netherlands behind Feadship and Amels, according to SuperyachtIntelligence.com. 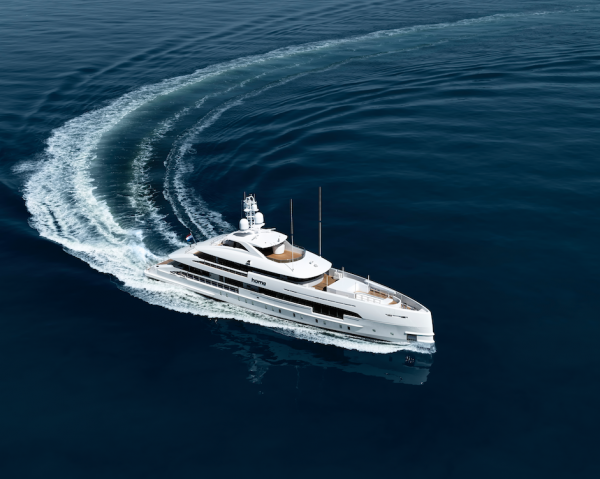 This means that Heesen currently holds a 14 per cent stake in the Dutch order book.